Too old to learn how to play an instrument? Marcus, G. (2012) Guitar Zero. 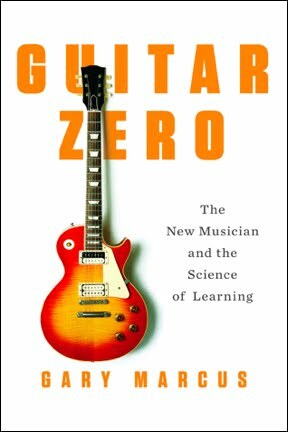 The New Musician and the Science of Learning. New York: Penguin. What is the relation between language and cognition? What is the relation between language and cognition? On the one hand, researchers like Noam Chomsky thought of language as an independent function with its own rules. However, other people – mainly psychologists – thought that language as a system is embedded in cognition and subject to all models of cognition. 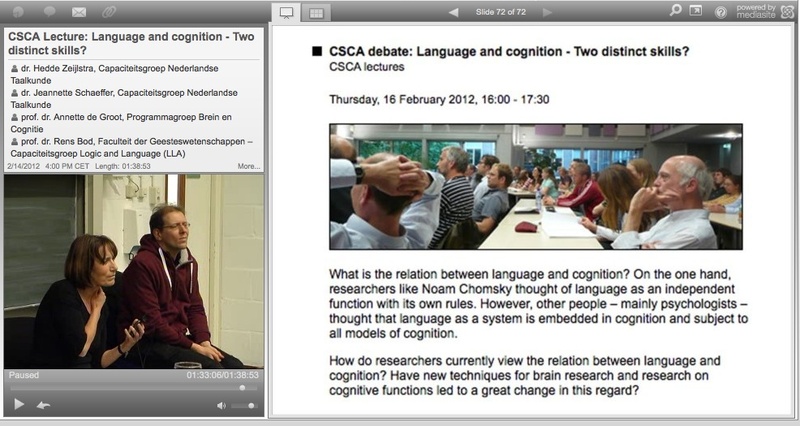 How do researchers currently view the relation between language and cognition? Have new techniques for brain research and research on cognitive functions led to a great change in this regard? 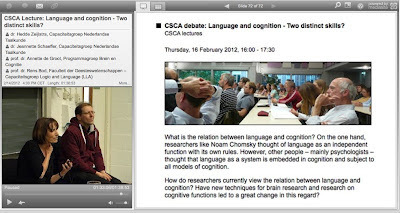 Here* you can find a recording of a recent debate that was held at the Cognitive Science Center Amsterdam with a panel consisting of Rens Bod, Annette de Groot, Jeannette Schaeffer, and Hedde Zeijlstra all working at the University of Amsterdam. Interestingly, music showed up several times in the discussion as well. * UvA streaming video; Sorry, only visible for UvA-students and employees. Empirical musicology grew out of a desire to ground theories on empirical observation and to construct theories on the basis of the analysis and interpretation of such observations. The arrival of new technologies, most notably that of MIDI and of the personal computer, were instrumental to the considerable increase in the number of empirically oriented investigations into music. David Huron (1999; 2006) referred to this reorientation as “new empiricism” and considers it, along with “new musicology,” the most influential movement in recent music scholarship. However, the question remains in how far musicology as a whole has been influenced by this new empiricism. One of the challenges of empirical musicology is still to discuss how systematic and empirical methods can contribute to a further and more precise understanding of musical phenomena, as well as showing how this understanding could have an effect on musicological discourse. Below a tongue-in-cheek example of how a single score can give rise to an enormous variety of intriguing performances. Today, Makiko Sadakata (Donders Center, Nijmegen) gave a presentation at our monthly meeting on music cognition and computational musicology . She presented a study in which the question was whether musicians do better in perceiving pitch, duration or other timbral deviations in their own and/or unfamiliar languages. A striking example was the difference in pronunciation between the Japanese words ‘kanyo’ and ‘kannyo’. To my ears, and most of the audience, identical. However, to Japanese ears two very different meanings. Using discrimination and identification tasks, Sadakata investigated in how far musicians do better in picking up these nuances. It turns out that in some, specific situations musicians indeed do better than non-musicians.